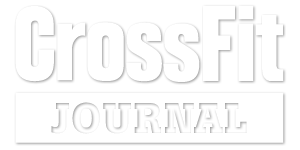 First Memorable CrossFit Experience: I remember doing a met-`con with wallballs + burpees + something else. I finished it and went straight to the bathroom thinking that I was going to throw up. I was completely out of breath and so close to crying. It was #amazeballs. Favorite WOD: Filthy Fifty, Kelly. I like the long workouts. After the first 5 minutes of panting, it’s like meditation. Least Favorite WOD: All the 7-minute workouts. It takes a while for my heart to bootstrap and by then the workout is almost over. Favorite CrossFit Moment: The first time I did a pull-up. I was used to doing banded pull-ups. One day when Nadia was watching me during a wod, she said “you can do this without a band” and just went ahead and removed the band. I think I was surprised/shocked on getting that first pull-up. 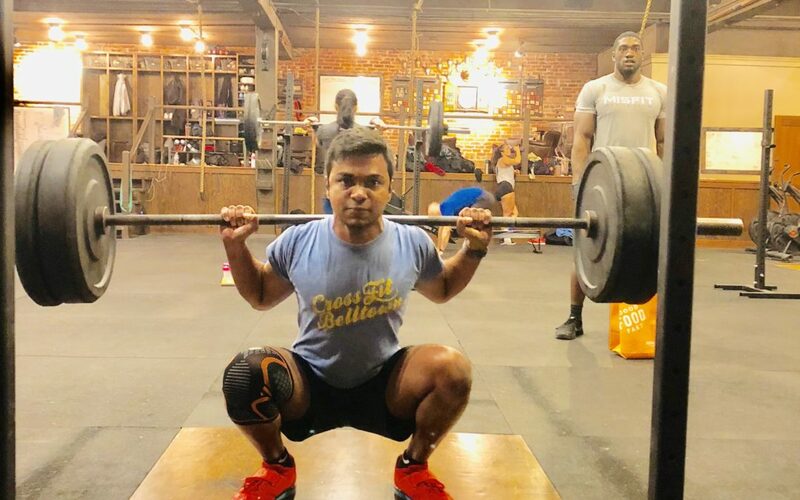 Why You Do CrossFit: Before CrossFit, I have tried the “regular gym” a few times. Somehow, I couldn’t wrap my head around the idea of fitness where the success measure depends on how I look in the mirror. The routine of chest-arms-shoulders-legs would get boring in a couple of weeks and I’d give up. I discovered CrossFit accidentally when I was googling for gyms near me. I thought I’d give it a try because the first class was free. Right off the bat, I loved the functional component of it. I liked the mental aspect where I need to push myself a little beyond what I thought my body can do. I soon realized that there wasn’t a special leg day (because every day is leg day, and also shoulder day, and other body parts). And it never gets boring – there’s like a million wods. Also, I like how everyone puts up a fight to get better. Even coaches and the elite athletes don’t start a wod thinking “I got this”. When the countdown on the timer begins, every single person has their game-face on. And that spirit is amazing. Favorite Cheat Meal: Pizza – in all shapes and sizes. CrossFit Secret: I think, on some level, I have learned to be patient. It takes time and practice to get a movement done for the first time (especially skill movements like double unders, pull ups, muscle ups). The only way to get better at it is to show up and keep working on it. What Do You Do On Rest Days: Eat, Sleep, Repeat. Maybe watch a movie or some TV series. What Can’t You Live Without: Coffee. Favorite Vacation Spot: I love beaches. Arugam Bay in Sri Lanka is unforgettable. Pfeiffer Beach in California is the recent favorite.